1. This one is great for every girl who loves to travel. 2. Tiny stars give off a subtle rockstar vibe. 3. 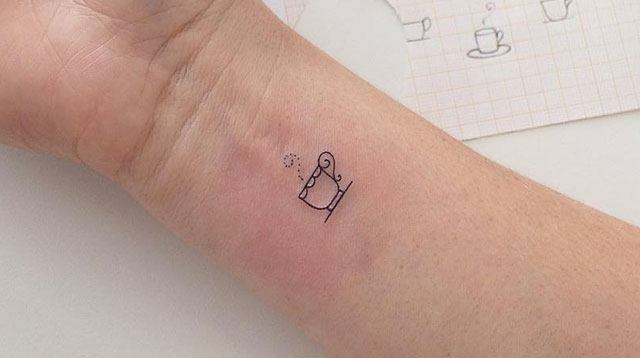 If you're into fashion design, you'll get this ink! 4. A floral garland tattoo is a good sub for a bracelet. 6. This can be a great couple tattoo when you're in an LDR. 7. Quotation mark tattoos may represent the fact that life is unscripted. 9. A cute design you can try if you love your pet so much! 10. A beating heart may signify that life goes on as long as you're still breathing.